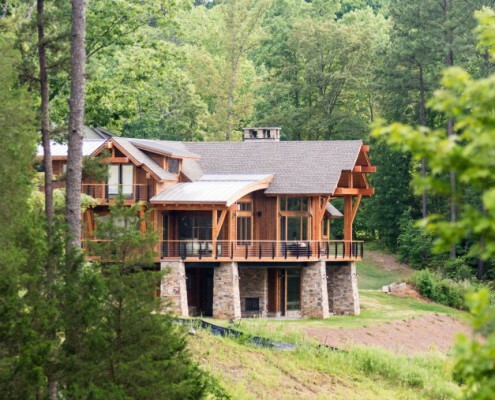 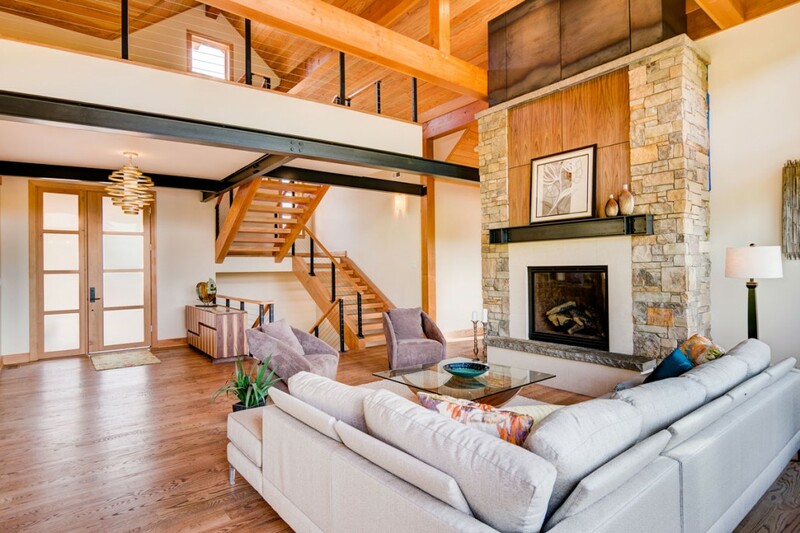 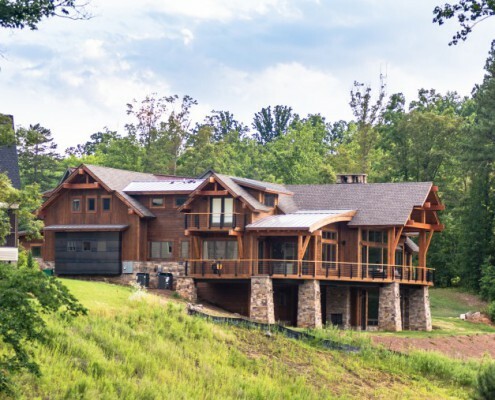 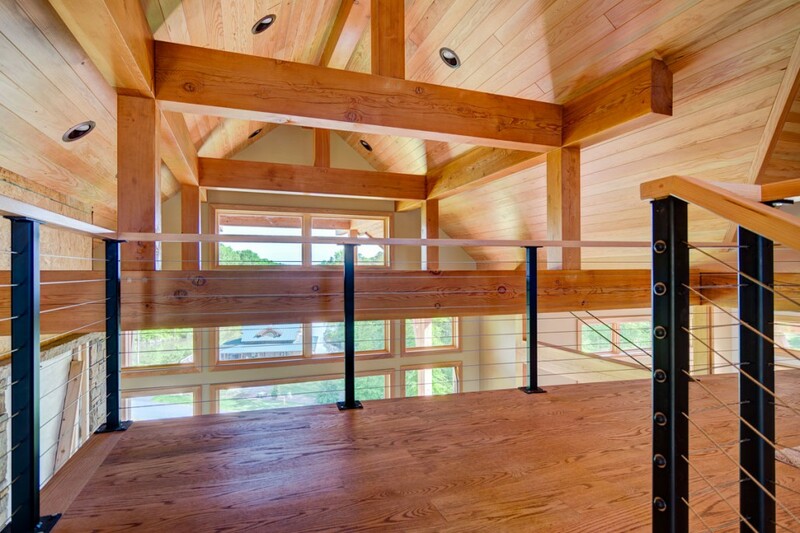 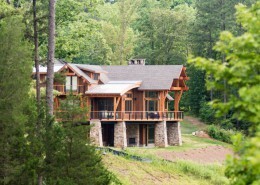 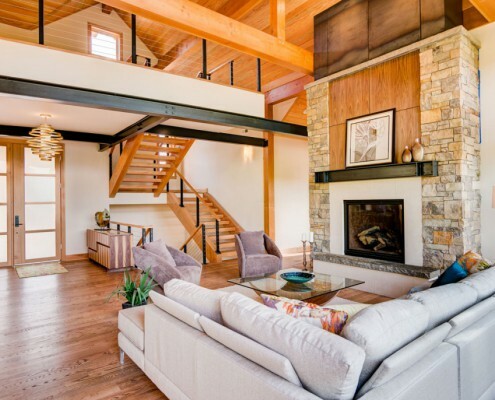 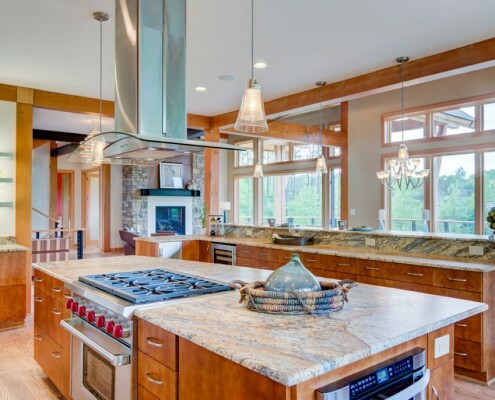 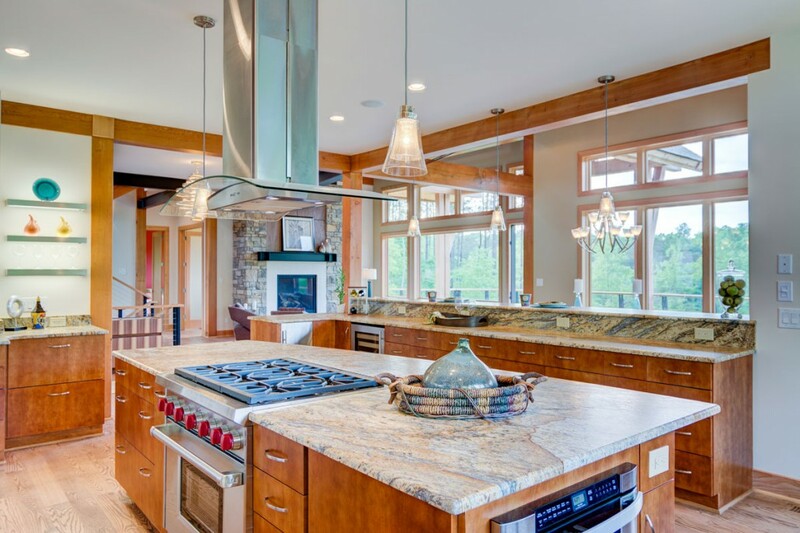 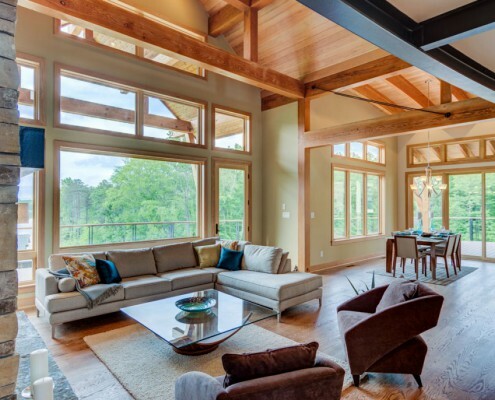 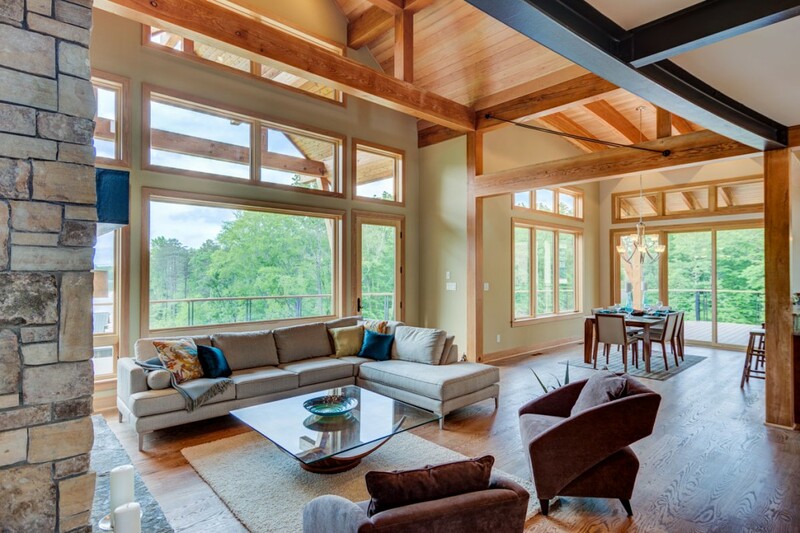 This spectacular modern mountain timber frame home in Lewisville, North Carolina is perched atop a ridge overlooking Lake Lissara and enjoys spectacular views of Pilot Mountain. 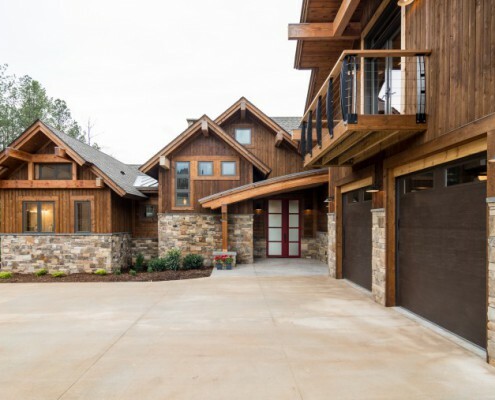 This state-of-the-art sanctuary was designed by highly renowned architecture firm, Kelly & Stone Architects and built by a highly reputable general contractor in the Winston-Salem region, Sonoma Building Company. 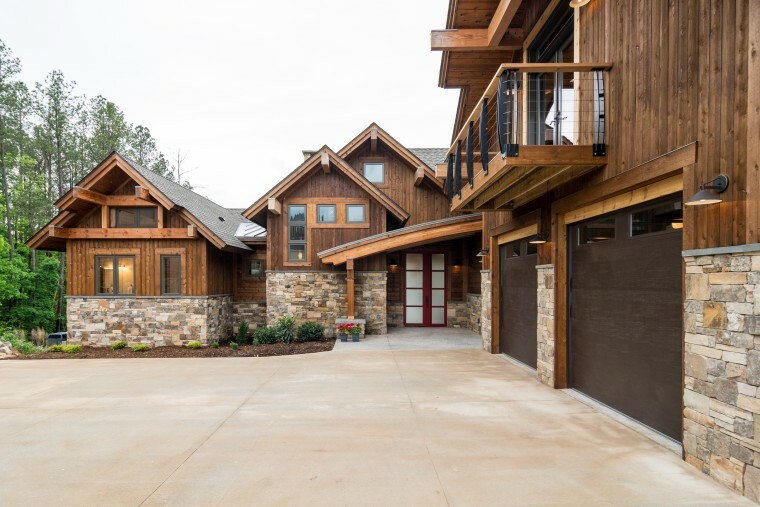 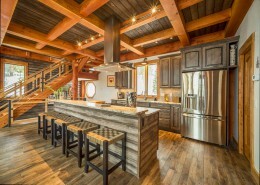 The 2016 Spring Parade of Homes retreat features four bedrooms, four and a half bathrooms, and showcases timber and steel frame construction with wooden tongue and grove ceilings throughout it’s 5,200 square feet of living space. 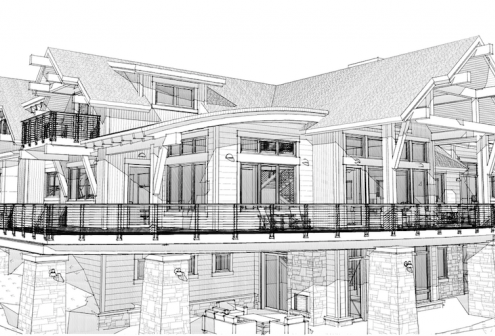 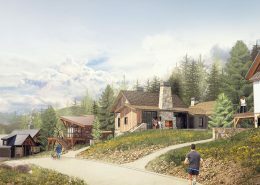 The grand arched entry, oversized picture windows, and steel and cable railings make for a luxurious modern mountain appeal. 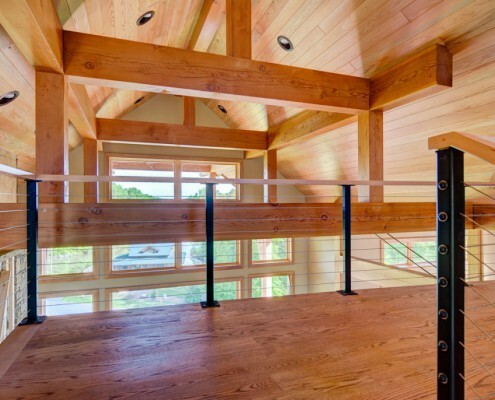 Basement features a theatre room, exercise room, sauna, and bar. 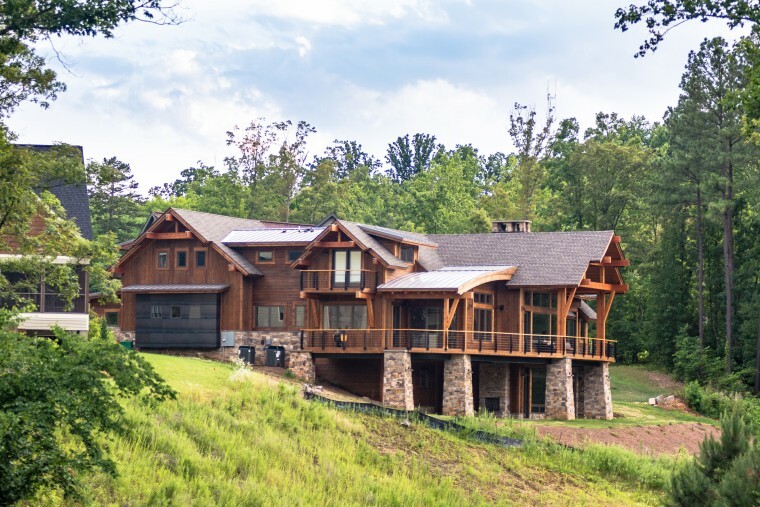 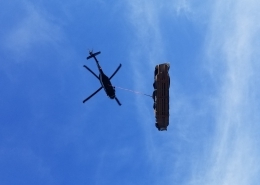 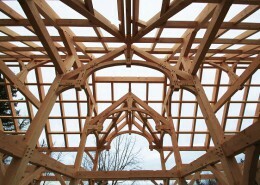 Sonoma Building Company has been partnering with homeowners in Winston-Salem and neighboring Davie County, Davidson County and Yadkin County for the past decade. 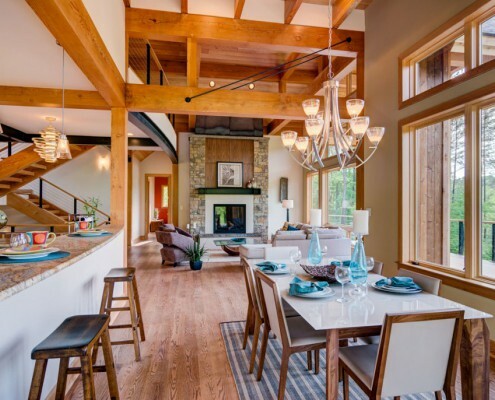 The Sonoma team prides itself on building strong relationships and conducting business with integrity and professionalism. 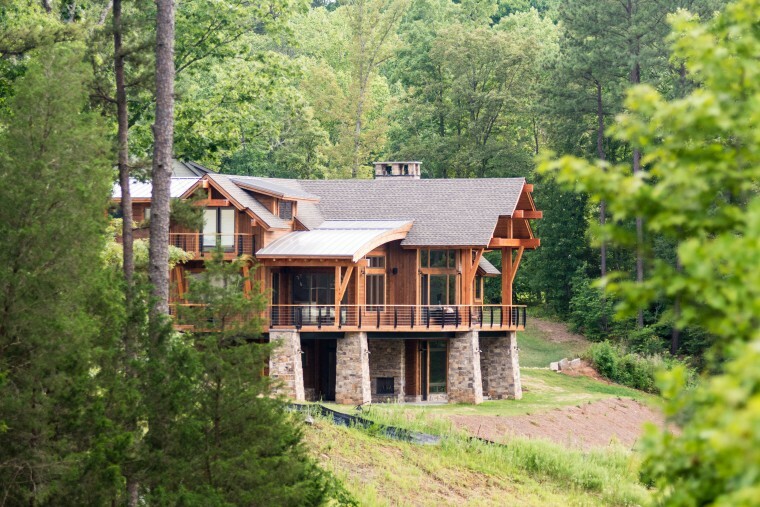 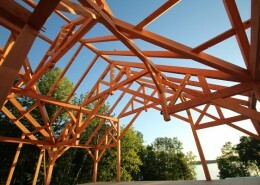 Kelly and Stone Architects designs unique, luxurious and sustainable architecture, while blending each project beautifully and harmoniously with the natural surroundings and showcasing individual personality. 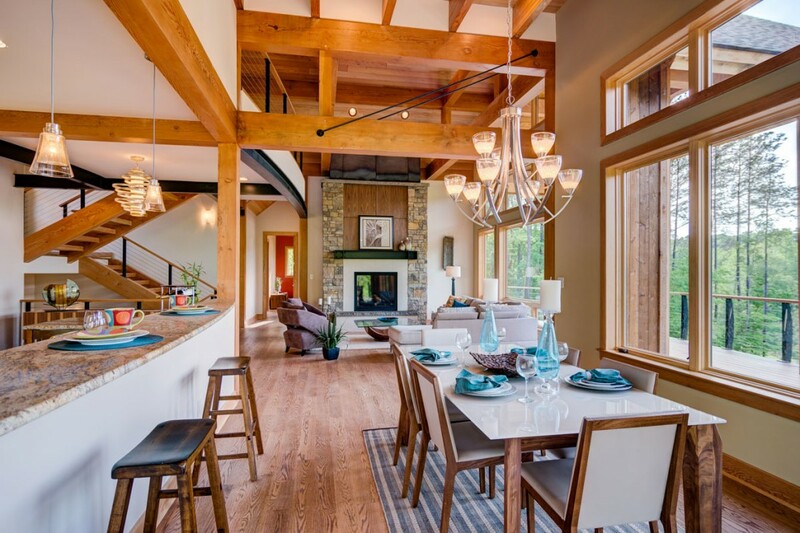 Their diverse staff of professionally trained individuals have broad experiences in a wide spectrum of project types and scales from custom, high-end residential to large-scale commercial and hospitality projects.